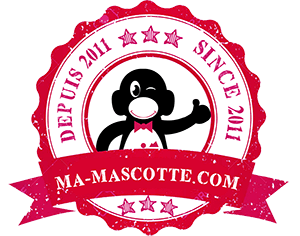 Création Graphique Mascotte et Peluche - Design Mascotte - Mascotte 3D. Graphic design of your custom plush toys or mascot before manufacturing. 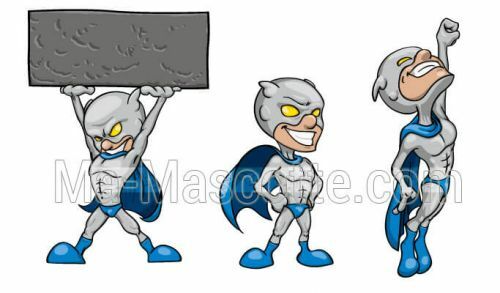 We handle the design for your mascot costume from A to Z before manufacturing ! From your visuals (logo, drawing, sketch, photo or model) we create the graphic version of your custom mascot called the graphic simulation. The design creation of your mascot is an interpretation of your custom mascot in color for back, face and side view (see example below) image format jpeg. (* We create your graphic design mascot for free only after acceptance of the manufacturing quotation). After approval of the graphic simulation of your mascot, we begin the custom manufacturing. If as the result of the graphic design you are not satisfied and do not want to make your mascot costume anymore; we will charge you only € 80 for designing. Moreover, it is possible to realize only the graphic design, the price is 80 € (this price is deductible when ordering mascot). (Mascot 3D, mascot illustration, mascot design). You have no idea for your mascot costume ? If you have no idea for your mascot costume or if your visual graphics do not allow us to make your mascot according to it you can use our graphic skills. He will accompany you in the reflection of your mascot creation and will offer you several options until the full and final design for your mascot. 3 penciled proposals + Adjustment of the winning proposal + Finalized version in colors in pdf, jpg & png. You want to use the design of your mascot costume on your different communication media? You want the graphic design of your mascot gives life to your communication media? For professional use, contact our graphic designer on Pitus.fr to obtain an assignment of rights of use and reproduction adapted to your needs. You can animate your mascot graphically giving her different poses. Indeed, our graphic designer offers different positions of your mascot in order to use it on your various communication media (website, flyers, advertising, flyer, brochure …). Formats pdf, jpg and png. Creating and manufacturing customized plush toys follows the same process as the mascots.We provide a graphic simulation of your custom stuffed plush and a prototype before starting series production. This is the first step in designing your plush toy (plush design, plush graphics, plush 3d).